4x6" rayon Republican Elephant flag mounted to a 10" black dowel. This small Republican flag is great for parades. 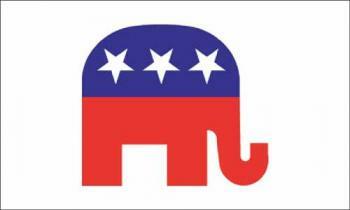 Our GOP elephant flag is a great way to celebrate your political party.